Robert Altman’s brilliantly freewheeling satire on the country and western music industry made little impression on the American box office in 1975. This was the year, remember, when a giant shark in Jaws inaugurated the modern blockbuster era. But three decades on, Nashville feels like one of the outstanding accomplishments of ‘New Hollywood’. 24 characters – including singers, musicians, agents, publicists, journalists, and assorted wannabees and hangers-on – converge on the capital of Tennessee, as a confused nation prepares to celebrate its bicentenary. Beginning with an ad for itself, Nashville unfolds during a music festival in the city, which is also hosting a political rally organised by the populist Hal Phillip Walker’s Replacement Party. (The candidate remains unseen throughout, his sinister message broadcast through loudspeaker vans.) The task for fixers such as Triplette (Michael Murphy) and Delbert (Ned Beatty) is to persuade the avowedly non-political singing stars such as Haven Hamilton (Henry Gibson) and Barbara Jean (Ronee Blakekly) to agree to play at their rally. 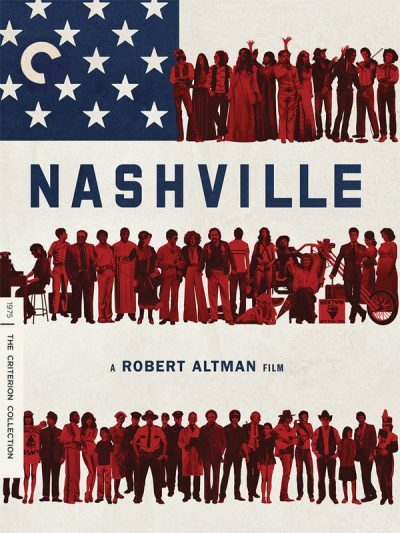 Re-watching Nashville, one notices how blithely Altman tears up the filmmaking rule book. He doesn’t adhere to a specific genre or plot, the overlapping dialogue of his cast is often diminished by the multilayered soundtrack, and there’s no conventional explanation for the film’s climactic assassination. In this sprawling mosaic of American society, we’re given impressionistic glimpses of individual lives; moments of intimacy within the babble of everyday existence. Not only did Altman’s exceptional improvise much of their dialogue, but they also got to write many of their own songs from the perspective of their characters. The likes of 200 Years, For The Sake Of The Children and It Don’t Worry Me encapsulate the sentimentality and the comforting appeal of country music. There’s an awareness here of how less powerful individuals are exploited within everyday relationships (not least the tragic figure of Gwen Welles’s Sueleen, forced to strip during a benefit evening), and how hard it is to verbally communicate one’s real feelings. But Nashville also looks forward to our contemporary obsession with celebrities and to politics itself becoming a form of show business. Unmissable.